Most bathrooms have exhaust fans, or they should! But, we run across many bathrooms that either have fake fans, disassembled fans, or bathrooms that have literally been built without a fan. Most codes require exhaust fans even if the bathroom has a window. Bathrooms have uncontrolled moisture levels and that moisture, if not exhausted, can have a detrimental effect on the bathroom, walls, floors, and appliances. Not everyone opens the window when they take a shower, especially this time of year. Fans work to lower the humidity and bathrooms, regardless of the outside weather. But, time and time again, we run across bathrooms with fans that have not been fully installed, simply don’t work, or have been blocked in the attic. So how can you tell if you have a working fan? Well, for starters, you have to turn it on. I know that might seem obvious, but you would be surprised as to the number of people that simply don’t use their fans. Any time moisture is running in the bathroom for an extended time, let’s say longer than five minutes, the fan should be used. We recommend putting your fan on a timer that can be set for various time limits and run after you take a shower for a while. Air that is 75° or more can contain a lot of moisture and don’t trust your bathroom mirror to tell you whether or not there’s excessive moisture in the air. Sometimes the mirror won’t even fog up so it’s important to turn on the exhaust fan for about 20 minutes after a shower. Many people don’t use the fan because it’s noisy. This may mean the fan is dysfunctional or starting to go bad. It may be time to replace the fan or just give it a good cleaning. There’s nowhere to draw the air from. We often see bathroom doors that are so tightly closed against carpet that no air can be pulled in under the door replacing the air that the fan is exhausting. This alone makes the fan nonfunctional. Restrictions in the attic. If there is something restricting the airflow, the fan is useless. Just because the motor is running doesn’t mean that the fan is operating properly. The vent damper can be clogged with bee’s nests or other wildlife issues. Ways to check for an operational fan. The paper test. Check to see if a piece of paper or tissue paper gets sucked up to the fan or if you cannot reach the fan, place the tissue paper right along the bottom edge of the bathroom door on the floor. If it moves across the floor when you turn the fan on, the fan is probably working correctly. The wet finger test. If you wet your finger you can feel colder air that’s being pulled under the door to dry your finger or see where the draft is coming from. This is similar to checking to see which way the wind is blowing. Although these are not scientific methods, it can give you a good idea of whether or not your fan is even working. 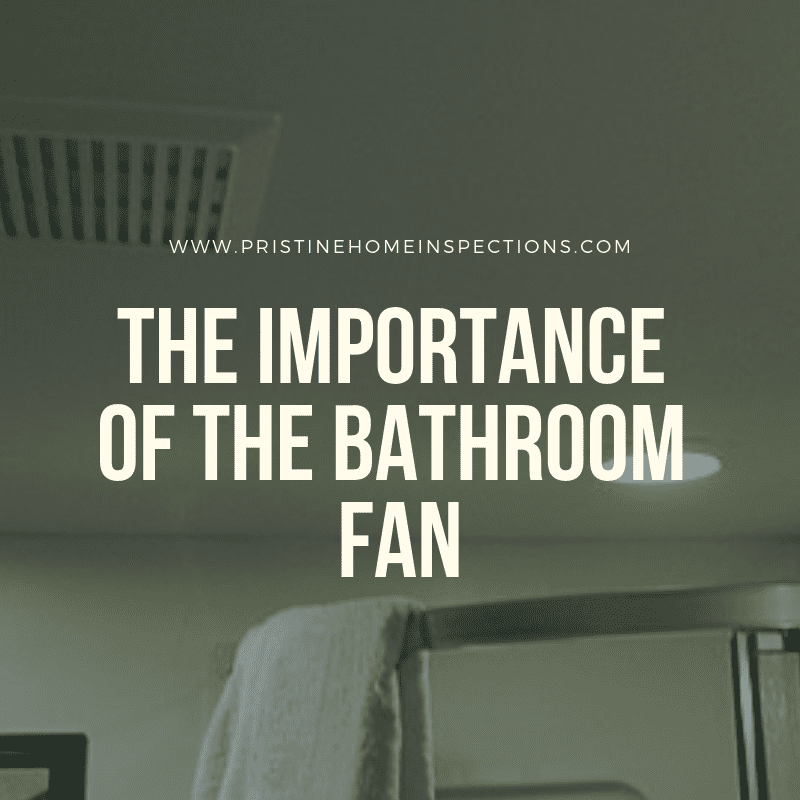 Most home inspections will require working bathroom fans so before listing your property or even selling, check those fans and make sure they’re working properly.